For best way to divide daylilies see Don’s Daylily Divider in action here. 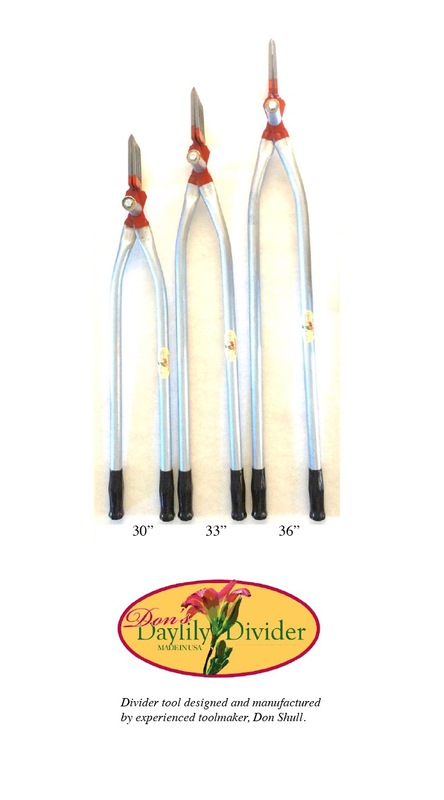 Don’s Daylily Divider is now available in three sizes for easier use. (36″ divider tool is recommended for gardeners 5’8″ or taller). He’s a real cool dude and he’s got a great product! IT. IS. AWESOME. It gets two green thumbs up from me. Don asked me to use them and share my opinions. My personal thoughts on the Daylily Divider are: First, why did I wait so long to get one? Second, if you have clumps to divide and your hand strength isn’t what it used to be, this tool is priceless OR If you have a club that puts on a sale each year, you need one of these for your next “dig and divide” party. You will be the star of the day.